Real Art Tacoma Presents: The JP Show! 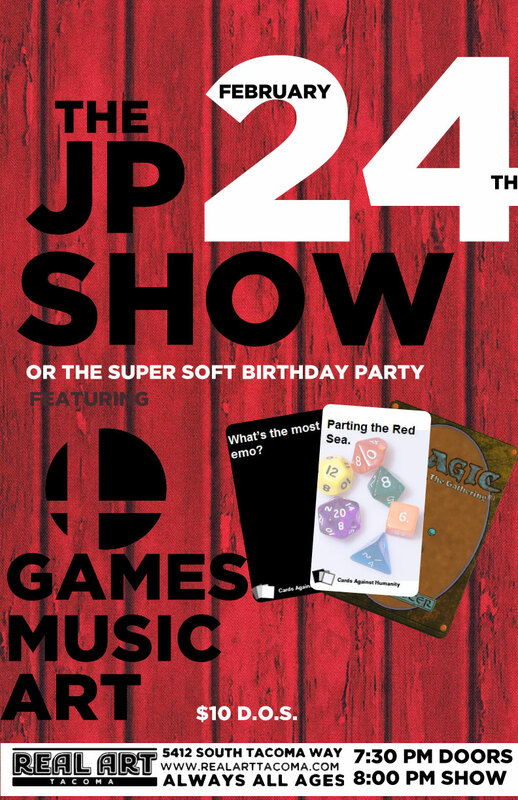 This super soft birthday party is a typical game night blown up. We’ll likely have Smash Ultimate, Mario Kart 8, etc. playing on the big screen along with tables for games set up around the venue. Prizes TBA!